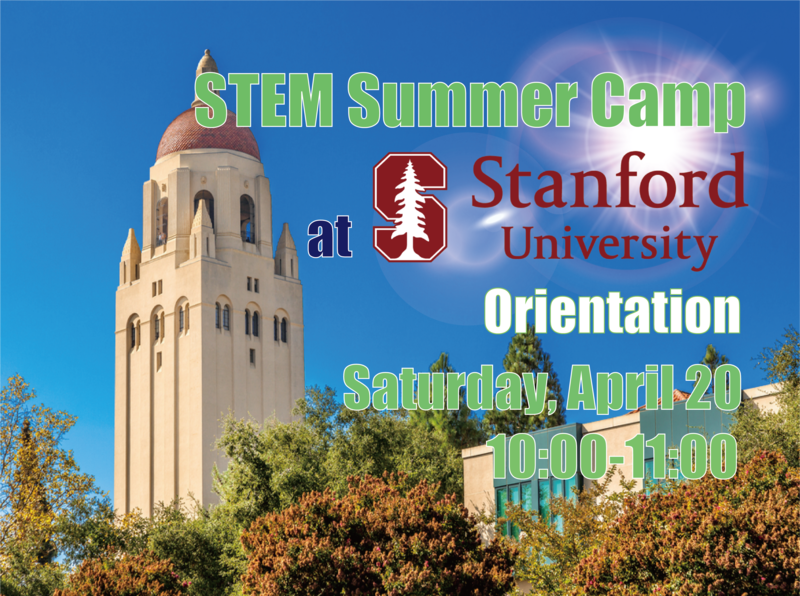 Students from all over the world are invited to attend a STEM Summer Camp at Stanford University in the summer of 2019! Stanford University is located in the heart of Silicon Valley in the San Francisco Bay Area. Students from top schools all over the world will get together to study cutting-edge technology and knowledge every day. “STEM Summer Camp at Stanford University” will be held on campus at this prestigious Ivy League university. This is a special camp where elementary, junior-high and high school students can take educational programs with like-minded students from all over the world. What an amazing opportunity to have a global experience at Stanford University in summer 2019! ※ For more details, click here. Unique program that allows students to live and study in the same environment as Stanford University college students. Participants use the classrooms and research facilities at Stanford University and eat meals with students from around the world. We promote students’ curiosity, confidence and teamwork through the PBL (Project-Based-Learning) teaching methodology. Program focuses on STEM Education (Science, Technology, Engineering and Mathematics) utilizing essential technology for the future. 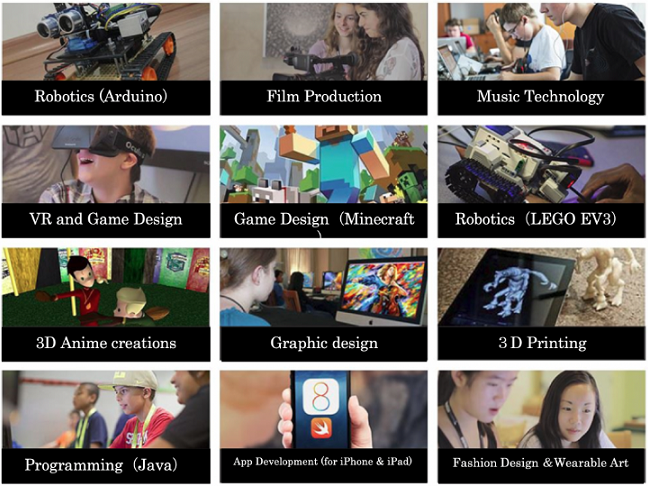 Collaboration with companies such as Apple, Canon and Adobe so students can learn to use the latest software and hardware. Local bilingual staff provide full support to students throughout their stay. The support office is located nearby the university providing a quick response should anything go wrong. 24 hour telephone support provided to respond to any emergency. ※For the schedule and the prices of each course, click here. Q. What is a common application procedure like? Q. Are there any other Japanese students in the program? Since it’s a well-known summer camp in the U.S., many local students are the participants. There can be a few Japanese students, but the majority of the classmates will be local students, and students from other countries are also expected to attend; English speaking environment is guaranteed. Since there are international students, teachers are all accustomed to taking care of them. *One class consists of 1-15 students. 70% are locals, and 30% are internationals. It depends on the camp, but 10~12 years or over (normally 12) are allowed to stay in the Stanford dorms. Students who are 18 years old are required to submit forms for background checks. Each room in the dorm usually has 1-3 students in it, and the shower rooms and bathrooms are shared. We will arrange host families or hotels when necessary. ※For other frequently asked questions, click here. Application：Please apply from the Apply/Inquire button.